Kai Detto is a collector and researcher of the Guyana Reichenbachia orchid stamp issues. These show the marvellous Reichenbachia orchid illustrations published in four volumes in the late 19th century by the orchidologist Frederick Sander in collaboration with the English landscape painter Henry Moon, in hounour of the German orchidologist Heinrich Reichenbach. Kai Detto contributed to the development of this Website. Ivar Edvinsen has searched for and photographed wild-growing orchids in many countries of Europe. On his Website he shows us his beautiful photos. 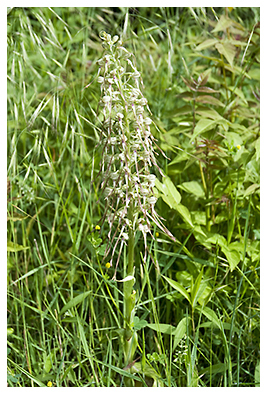 Beatrix Granitzki shows on her Website among other things her own photos of European orchids as well as orchid-related postal stationery material. Mark O'Neill runs a philatelic mail order business. He has available among other things extensive stock lists of new issues, countries and thematics which are very helpful in the search for orchid issues. Dr. Vladimir Prado is a conductor, composer and musicologist. On his Website he introduces himself and his extensive musical creations. Walter Riedinger runs a philatelic mail order business. Besides monthly new issue lists he offers subscriptions and want list processing. His thematic lists facilitate the search for orchid stamps. Jose Evair Soares de Sa presents on his Website his orchid exhibit "Pretty, Charming And … Proud" with which he has already won many national and international prizes.